Size guideline for boat names. To help with identification, powered vessels over 4 metres and non-powered vessels over 6 metres are required to be clearly marked with a name or number. 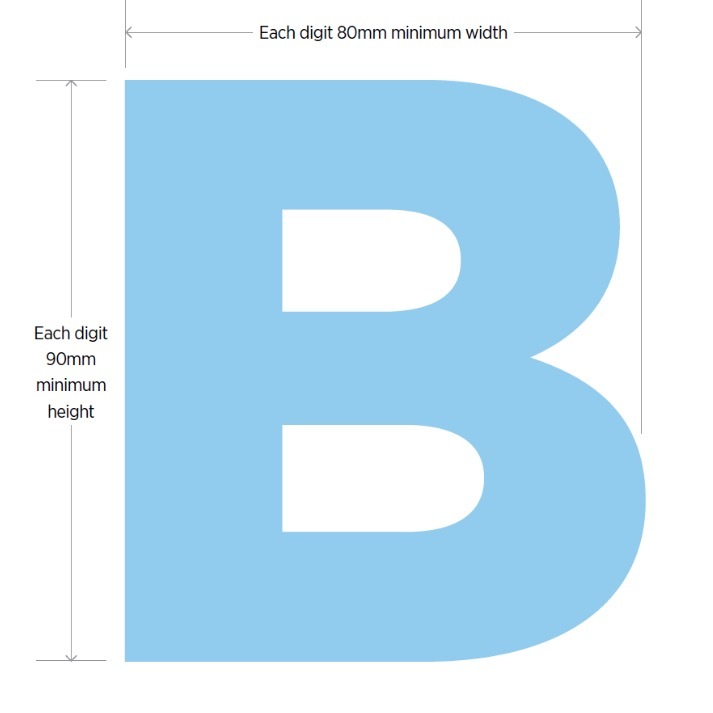 The mark needs to include a minimum of two letters or numbers which are not a vessel’s brand, make or model. The name and/or number must be of a contrasting colour that is legible from a distance of 50 metres or compliant with a national sporting body standard.